Outdoor living doesn’t have to mean huddling around a fire under umbrellas. Spend quality time in the fresh air sheltered by a sturdy structure that adds beauty to your landscape. Possibilities range from a storage lean-to or simple pavilion to the outdoor kitchen of your dreams! 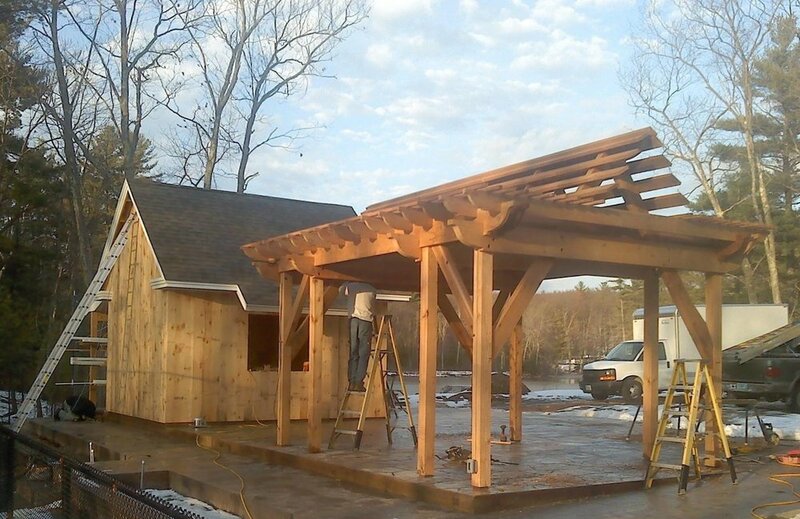 Post & Beam Pergolas, Gazebos, and More. Brooks Post & Beam offers plans that maximize your life outdoors in a number of pre-drawn sizes, but you can also request a different size or shape that works for your site and the way you plan to use your new structure. Since it will be made with a Brooks frame, there’s always the option to add walls or screens to your space in the future.